For the last four decades, Berlin has been a city defined more by its constant state of upheaval than by its industry, production or individual subcultures. 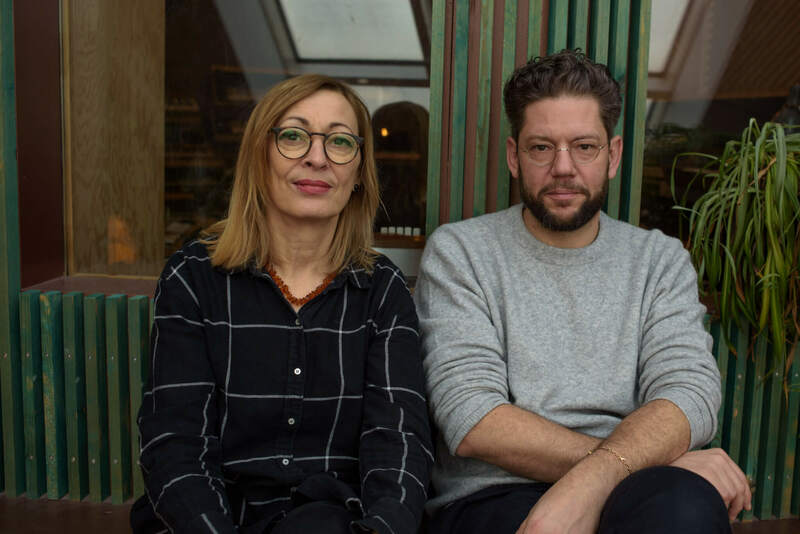 As the world outside places emphasis on the city’s changes and relative unpredictability, those within its boundaries—like seminal musician Gudrun Gut and Innervisions’ co-founder Frank Wiedemann—have managed to carve a previously elusive slice of cultural independence and more surprisingly, relative anonymity. Emerging from the watchful eye of the once-divided city’s former authorities and ineffective political structures, Berlin’s artists have forged a formidable defense of their creative autonomy. It’s best understood through the diverse musical canon that has flourished in the city since the early ’80s: Krautrock, new wave, post-punk and techno. This is the artistic range that soundtracks the newest member of the Berlin film canon, Audi Zeitgeist’s Symphony Of Now. Modeled as a contemporary take on Walter Ruttmann’s 1927 film Die Sinfonie Der Großstadt, Symphony Of Now features an original score composed by Wiedemann and a number of Berlin-based musicians like Gudrun Gut, Modeselektor, Samon Kawamura and Thomas Fehlmann. It serves not only to enhance director Johannes Schaff’s cinematic vision, but also to document over three decades of musical and cultural innovation. 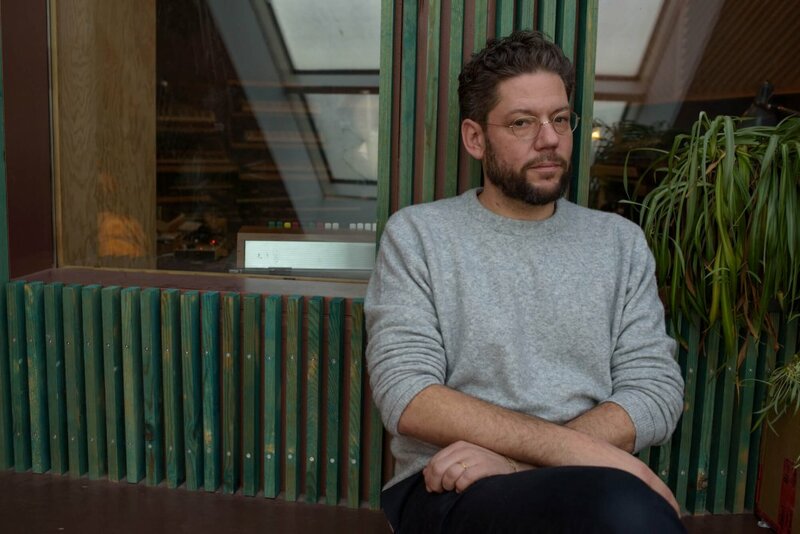 Telekom Electronic Beats’ Daniel Melfi connected Gut with Wiedemann to discuss this musical transition, film scores and how to relate Berlin’s Weimar-era films with modern cinema. Daniel Melfi: How did the project come to you? Frank Wiedemann: Max, the guy who does Sacred Ground, a festival I do with Ry X, invited me to meet the movie’s production team and told me about the idea. I was interested in making a soundtrack and I liked the idea of creating music for Die Sinfonie Der Grosstadt and then adapting the new movie to the soundtrack, so you keep the pace and momentum of the original movie. And because the old movie consists of five acts, I thought it would be a good idea to have five guests, one for each act and then just improvise the music, and that’s how we got together. Gudrun Gut: Actually, I think you asked us at Sacred Ground festival. I was there last year, it was a fantastic festival. And then he asked Thomas Fehlmann and said that he should ask me. And so, for me, it was exciting because I never work together with Thomas. People always think that Thomas Fehlmann and I work together all the time, but we never do, actually. This was a nice opportunity. I immediately liked the idea. And from my side, I knew the movie, because I originally wanted to become an experimental filmmaker and Walter Ruttmann is kind of “the guy.” I love the idea of how he just filmed through the day, and so I felt, “Woah, this is cool.” It’s a fantastic movie. DM: The new film focuses primarily on the night instead of the day. Does that change the score in any way? FW: I don’t think so. The score was of course made by “night music” people, but I don’t think it was ever about having too much of the night in my head. It was really that we made the music based on the old movie. DM: Were they all original pieces commissioned for the film? GG: Yeah. We met in the studio and we each had a setup. I had a little Korg analog setup. Thomas had something prepared— loops and stuff. And you brought your machines. We hooked it up and looked at the third act and tried something. FW: I think we had two or three runs. GG: Yeah, a couple of runs. Then I did some vocal overdubs. And then you finished it up. FW: That’s actually what happened in all the acts. First we had to explore what instruments or loops we would use, and then we played two or three takes improvising on top of the movie. DM: How do you feel about the style of the films? Do you think it relates to the lifestyle here? FW: I haven’t seen that much of the new movie, yet. We both love the old one, even though it was criticized when it was released because it only showed the wealthy side of Berlin. GG: But in art use, it’s kind of a classic. GG: What I like about it is that it’s not like a normal story or a love story with a beginning, middle and end. It has a beginning, middle and end, but it’s just a day, it’s not a personal story, I really like that. FW: I see the old one definitely as a document of its time, of course. That’s how Berlin was in the ‘20s. GG: For me, I came to study in Berlin. I come from North Germany. When I started studying, it was really exciting to see that movie, because you saw something of the history of Berlin. There are a couple of other movies where you just see the life—kind of like a documentary of the time. And I think you see much more of the time and of the city when you have documentary material. It just shows more of reality even though sometimes stuff is left out. DM: Do you think film scores vary in their purpose? GG: Yes, there are totally different film scores. A lot of filmmakers just want to have something they’ve heard somewhere else. Or they have a bad picture, a bad scene and they want to make it emotional with music. FW: Have you ever watched a movie without music, Daniel? What I want to say is: It’s really hard to watch a movie without music. I don’t think you get the drama and the pace and everything. It’s a lot about music and sound. That’s why I’m really interested in how deaf people experience movies, because I feel like the music is a part of the drama of every movie, even if it’s kitsch or cheese or whatever. It’s made by the music and not just the kiss. You can really change a movie drastically with music. When I first went back to watch Die Sinfonie Der Grossstadt after not having seen it for a long time. I watched it without any music intentionally so that I would not be influenced. DM: I noticed when I watched Die Sinfonie Der Grosstadt with ambient music, certain parts didn’t line up with the pace and others did. How does the contemporary music line up with the old film? FW: I think it works for me. I did the music on another silent movie from the 1920s, and I think it works. GG: I think the good thing about this project was that there was a lot of emphasis on the music. Normally, when you have film scores, it’s the last thing they take care of. Then it’s super rushed and there’s not much money left, and it’s a little bit problematic. But it’s nice that they did this and that you already had the music as an important part of it. DM: How did you decide where to put each part? FW: Well, everything was a bit tight with schedules. So we had to find dates with each participant for the studio. Modeselektor were the first to go, but I didn’t want to have them doing the first act, so I said let’s do the fourth act. After that, I worked with Hans-Joachim Roedelius on the first act, and then I worked with you and Thomas for the third, and then there was Samon Kawamura fourth and then the last one was with Alex.Do. I also decided that, apart from me being the one element that is part of the whole soundtrack, I kind of wanted to have a chain letter connecting every act with one another. So I took one bit from the Modeselektor part and integrated it into the Roedelius session, but I changed it around. And then we kept on doing the same thing with one element of Roedelius being part of our session and so on. GG: There’s always one piece going. DM: Kind of like when you mix two tracks together and keep one common element? FW: If you do so, it’s like a chain letter really—like it was before email. Somebody writes, I write her a letter and she needs to continue it and then send it to somebody else. It’s like the kid’s game “Stille Post”—I whisper something in your ear, and then you need to understand it and continue the sentence in a whisper to the next person. GG: Then, in the end, it’s something else. The idea is to have something that combines all the parts because it’s five different partners. I think he did a really good job on this. It’s very hard to have continuity with five different musical characters. This works really well, and the idea of this piece of the music is that you hear it in another one again, so it kind of melts. DM: Kind of the way the city remains the subject and the tying link. FW: Like the cab driver that brings the doctor to the hospital and the raver to the club. DM: How does the film fit into this canon of Berlin films? GG: I think it’s really hard to copy such a classic. FW: If the movie is half as iconic as the first one—as the original—I’ll be very happy. GG: It’s an idea, and it’s done. I think it’s interesting for what it is. It doesn’t have to be a masterpiece. To copy an idea is not necessarily an original idea. But I like the idea anyway because it’s like a snapshot of the time. For example, do you know the movie B-Movie? FW: It’s called B-Movie: Lust & Sound In West Berlin. GG: It’s about Berlin in the ‘80s, and they only used documentary material. FW: Did they actually? That’s what I was asking, but it’s also an actor for Mark Reeder, no? GG: That’s true. They made a movie out of documentary material. Still, it’s nice to see this original material. Maybe in 50 years they’ll see this movie and think, “Ah look, this is what it was like.” But then, on the other hand, nowadays everybody films and has a camera. In the old days they didn’t, so that makes a little bit of a difference. FW: It makes it hard to make a standout movie. On the other hand, to say something nice about us: I’ve seen three versions with different music for the old one, and there was never a really nice score for that movie. I think that’s just my perspective, but I hope that at least this film will create a musical snapshot of this this era now. DM: You’re saying the old scores don’t do Weimar-era music justice? FW: It does, but it’s not an outstanding soundtrack. But that’s because at the time nobody really made soundtracks, they just had an orchestra play. GG: With this project, music-wise, Frank took the idea of capturing the moment. Musically speaking, it’s much more modern. DM: How do you think producing a score is different than producing an album? GG: When you produce an album, it’s your own idea. If you do a film score, it’s a big team of people working together, and you mostly get feedback from the director. FW: Even if, in this movie, the music plays a big role, it’s always going to serve the movie. It’s not about the music. GG: Yeah, you’re serving the movie. If you do an album, you do it for yourself. A soundtrack is for the movie, that’s the big difference. DM: Did working on the score inspire you to reflect on your time since you’d arrived in Berlin? GG: I had to think about it because I remembered the movie from when I came to Berlin and saw it at the university. At the time I was really interested in this kind of literature, this kind of experimental filmmaking and the montage technique, and all of this. Actually, I’m reading a book right now from a woman who used a similar technique. I forgot her name, but she lives in Cologne, and it’s the same thing, same time: Weimar Republic, how she lives, how she goes to work. A normal working class girl. It is by Irmgard Kern Gilgi, Eine Von Uns— kind of similar take. DM: There’s something very captivating about those simple but authentic depictions of a regular day. FW: I was actually just watching Jim Jarmusch’s Stranger Than Paradise for the first time in years. Basically it’s the same thing. It’s about a character who lives in New York in the 1970s or 1980s, and there’s nothing to do except eat TV dinner in an apartment. And it’s super boring, and he does some gambling here and there to win some money, but nothing happens. Then his cousin from Hungary comes to visit him and brings some color into his life, but he doesn’t want that in the beginning. Have you seen that movie? You should. GG: It’s a cult film. I remember it. FW: I think we can all agree that we like that kind of document. It’s not really an action movie at all. None of these movies are action movies. You watch and you get a glimpse of a life. DM: Are you looking forward to the performance at the grand premiere? Will everything be live with lots of hardware? FW: It’s not possible. We will try to perform live as much as we can. That’s the thing with making music for a movie, in the old days the orchestras didn’t have a backup, but we have the big advantage of modern technology so we can have a backup running all the time. That’s very important because you can’t stop the movie and say, “let’s play another round.” I once did this years ago in Mannheim at Timewarp. Henrik Schwarz, Dixon, Kristian and I scored Das Cabinet des Dr. Caligari live, and it was actually very good to have a safety net. We never used it, but we had it just in case. It makes you feel comfortable and at the same time very free. The grand premiere of Symphony Of Now will take place in Berlin on February 14 at a soon-to-be-disclosed location, where all of the involved musicians will perform the score live. Pay attention to this space to learn more details as they emerge. See more photos by Elizabeth Claire Herring on Instagram.